File picture: Deputy Minister of Finance, Datuk Chua Tee Yong deliver his keynote address during the Post-GST Conference 2015 at Menara PNS. Pix by Yazit Razali. KUALA LUMPUR: The Ministry of International Trade and Industry (MITI) has called on the Malaysian Institute of Accountants (MIA) to help small and medium enterprise (SME) owners to improve their financial literacy. 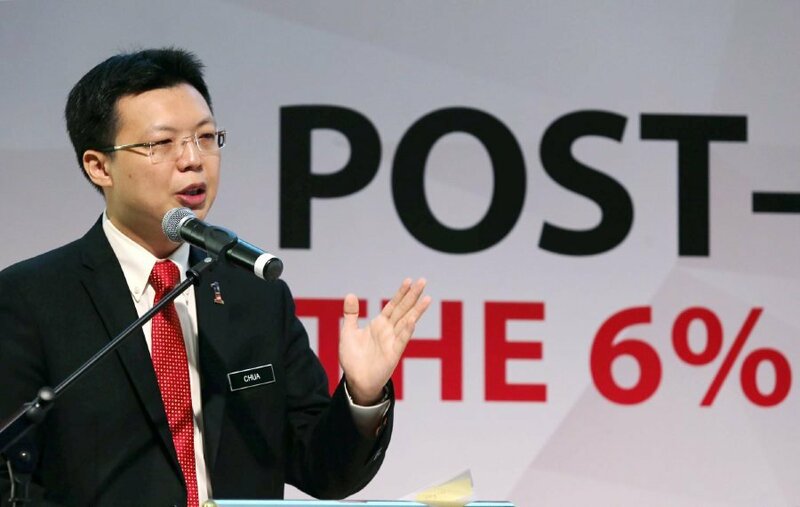 Deputy Minister Datuk Chua Tee Yong said the enterprises and their growth was strongly influenced by financial management, whereby any financial mismanagement would eventually lead to failure, thus affecting overall enterprise and trade performance. "Accountants can play an important role as trusted business partners by providing financial consultation and other relevant business support" he said at the MIA International Accountants Conference here today. The ultimate goal of helping SMEs in financial management was to improve their financial capabilities, enhance business formalisation and professionalism among all businesses, hence improving tax compliance to support nation building through increased revenue, said Chua. To date, 98.5 per cent of business enterprises in Malaysia comprised of SMEs, with the number reaching 907,065 businesses in 2015, he said. “These SMEs contributed up to 36.6 per cent to the national economy, 18.6 per cent to exports and 65.3 per cent towards national employment,” Chua said, adding that MITI and MIA were also cooperating to develop sufficient talent at the ASEAN level. Recently, MIA implemented the ASEAN-level Mutual Recognition Agreement (MRA), which would drive trade liberisation of key professional services sector in the ASEAN Economic Community. "To go forward, ASEAN needs the right quality and quantity of talent who can help us to reach regional economic and social integration as well as equitable and sustainable development by 2025" added Chua. ASEAN needs more than just financially skilled accountants, they need agile and savvy talents to achieve further sustainable economic and financial development in the region, he added. In 2016, ASEAN was regarded as the world sixth largest economy with a combined Gross Domestic Product reaching US$2.6 trillion.